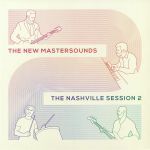 Review: Second time around for "Therapy", the ninth studio set from Leeds-based funk and soul sorts The New Mastersounds. The album was recorded in a studio near Red Rocks, Colorado in September 2013, appearing in stores six months later. It remains one of the band's most enthralling and entertaining sets, featuring a swathe of killer cuts that variously pay tribute to The Meters ("Monday Meters"), St Germain style jazz-house ("When It Rain"), weighty deep funk ("Old Man Noise"), Ramsey Lewis (the spectacular soul-jazz of "Morning Fly"), The Doors (the mellow jazz of "Detox") and much more besides. 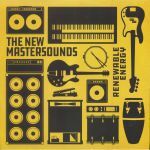 Review: Decorated Leeds funk smelters The New Mastersounds deliver their 11th album and it's a powerful assault of the groove senses from the off. Leaving no stone unturned, they run the gamut and back with raw skill and a tightness than can only come from playing with each other for nigh on 20 years. From the jazz freeform spirals of "Green Was Beautiful" to the fuzzy rock fizz of "Funk 49" to the swinging bubblegum fun of "Groovin' On The Groomers" and the diesel powered soul funk of "Gonna Be Just Me", it's another sizzling snapshot of one of the UK's finest groove exports of our times.